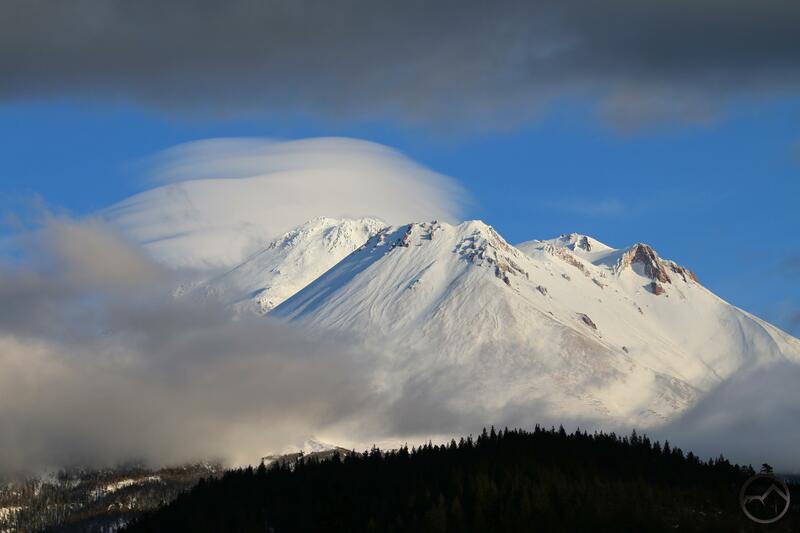 A small lenticular floats above Mount Shasta. With the predicted snow and overcast skies, I was not anticipating any opportunities to see Mount Shasta. To my surprise, as I was driving south on I-5 south through Weed with my outdoor education class Friday afternoon, the clouds parted and the mountain was lit up with the afternoon sunlight. Hovering above the summit was a large lenticular stack, much to my delight. After returning the kids to the school, I headed back up toward Weed. The clouds remained thick around the south but I could see the lower flanks of the mountain remained lit up to the north. With frustration I soon discerned that the clouds were closing the large gap that had revealed the mountain. The lenticular was also shrinking, making the entire endeavor something of a race against time. When I got off I-5, the clouds were beginning to obscure the view I had observed earlier. I headed up 97 to a point where I finally had a clear view of Mount Shasta and the lenticular. However, the gap in the clouds that made the peak visible was closing rapidly. I set up my camera and started capturing images. The lenticular was no longer large nor did it have as many discernible layers but it remained interesting nonetheless. I was glad to get the images I did because the window int he clouds through which I was observing it closed right in front of me, hiding the mountain for days to come. 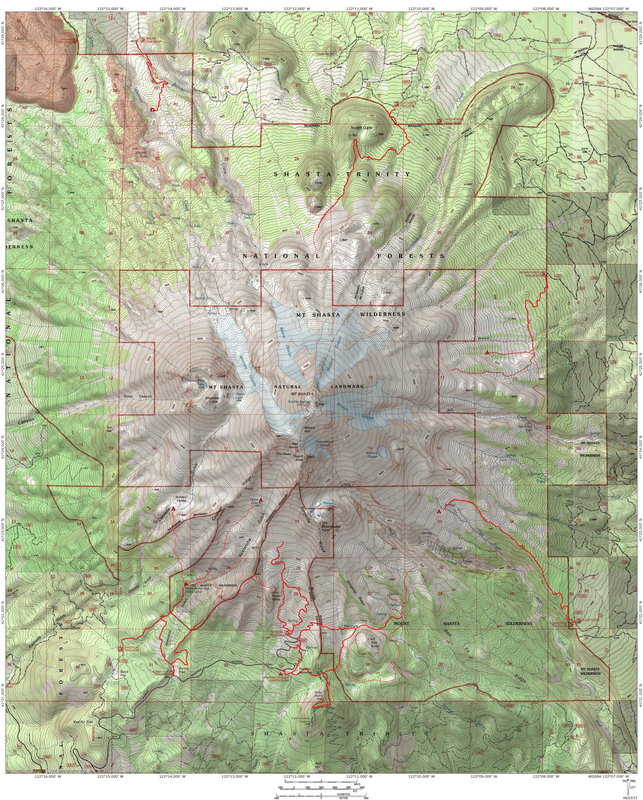 I was shocked at how swiftly Mount Shasta was lost from view. The entire episode was brief but it was a fascinating look at what was taking place around the grand mountain while the storm clouds gathered.